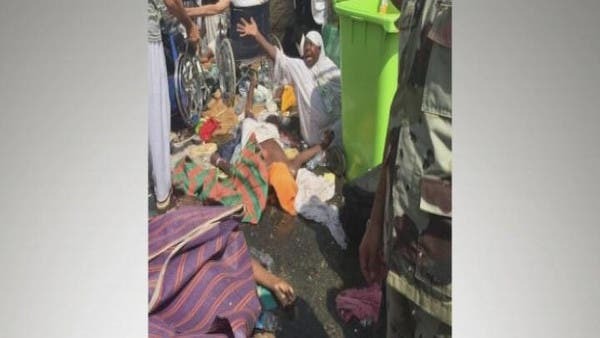 Saudi Arabia’s civil defense has said at least 717 pilgrims died and 863 others were injured on Thursday when a stampede broke out in the tent city of Mina as pilgrims were on their way to perform a Hajj ritual. The stampede began during a morning surge of pilgrims at an intersection between Streets 204 and 223, as the faithful were making their way toward a large structure overlooking the columns, according to the civil defense directorate. The tragedy was the deadliest to strike the annual Hajj pilgrimage since 1990, where 1,426 Muslim pilgrims were trampled to death. 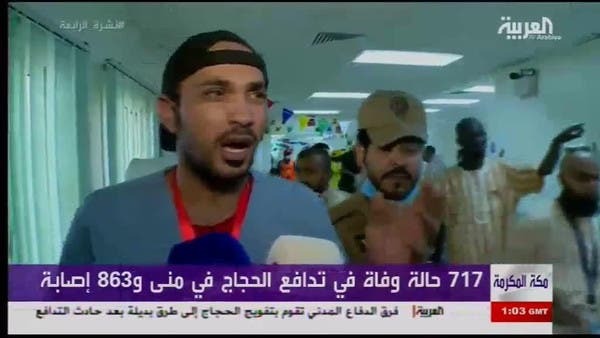 Al Arabiya News Channel’s correspondent Abdulrahman al-Osaimi, who was reporting from the Mina emergency hospital said the stampede happened near entrance of the Jamarat Vridge near Street 204, and not inside of the Jamarat area where the stoning pillars are situated as some media reports earlier said. 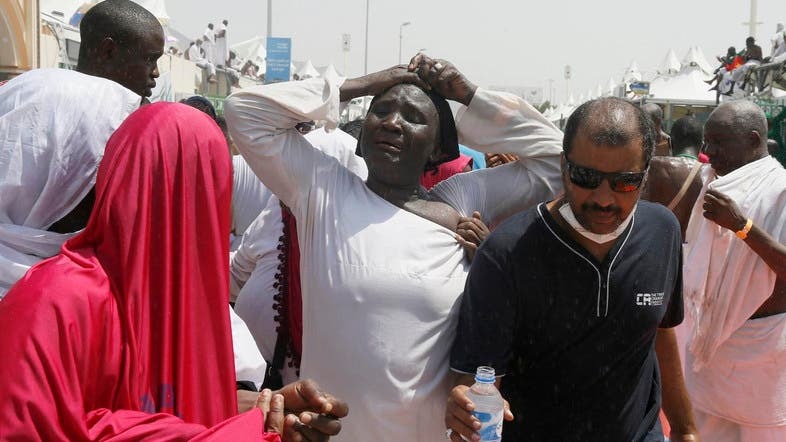 At a press conference before sunset prayers, Saudi Interior Ministry spokesman Maj. Gen. Mansour al-Turki told reporters that the street at which the stampede took place "witnessed unprecedented high number of pilgrims" compared to previous years. Pilgrims were on their way towards Jamarat, an area which holds three stone pillars that represent the devil where pilgrims symbolicly throw small stones at as one of their last major Hajj rites. "Street number 204 is a road leading from the camps to the Jamarat Bridge. What happened was that a group of pilgrims on busses were allowed to descend onto the pathways that lead to the Jamarat Bridge at a time that wasn’t allocated to them,” Al Arabiya News Channel’s correspondent in Mina, Saad Al-Matrafi said. “As they neared the area, they converged with an existing group of people who were already in the area, which pushed the area to overcapacity." Saudi Arabia's Crown Prince Mohammed bin Nayef has ordered an investigation into finding why procedures and protocols were not followed at the time of the stampede. 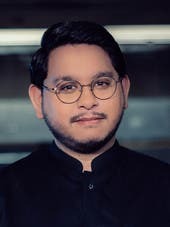 Al-Turki also told reporters that the incident initial investigations of the incident indicated that two pathways, one of which is St. 204, converged at the the same time. The majority of Thursday's victims, according to officials, descended onto a pathway toward Jamarat during a time that was not allocated to them. When asked why authorities could not expand the areas of the camp city of Mina and Mashar to accommodate the huge numbers of pilgrims, al-Turki said: "As per the boundaries of of Mashar and Mina areas, we cannot possibly expand the locations as both areas have set boundaries that are dictated by Islamic principles for Hajj proceedings." The civil defense team that responded to the stampede earier in the day said around 4,000 members of their emergency response team, along with the Red Cross, were deployed to the scene to help lead pilgrims to safer routes away from the stampede. Rescue operations were still underway.